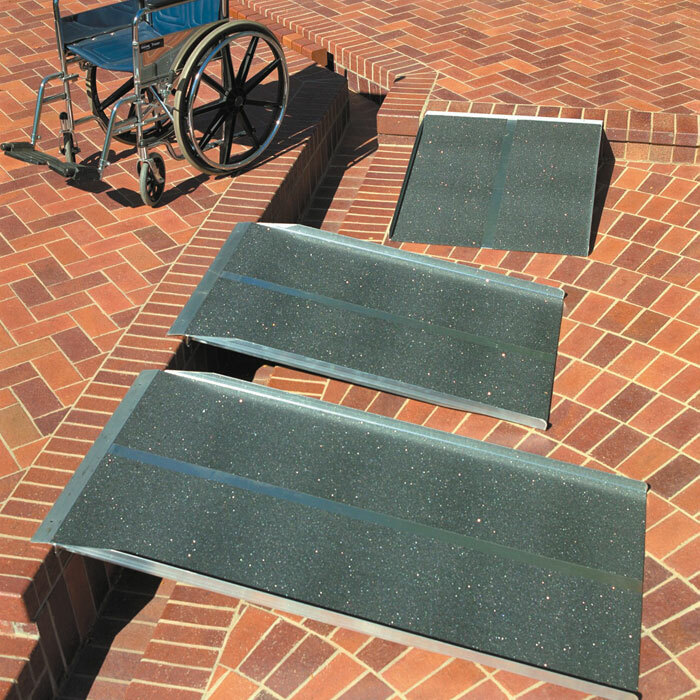 Solid Wheelchair and Mobility Scooter Ramp, Anti-Slip. Steps and stairs - the natural enemies of wheelchair users! But don't let them be more of a hinderance to you than need be with the use of this solid wheelchair & mobility scooter Ramp. Providing excellent stability, it has an anti-slip, high traction surface with a non-slip flange (to rest on top of the step) so you can enjoy peace of mind knowing that you won't be going anywhere that you don't want to! This ramp is available in two track widths (76cm and 91cm), various lengths (from 91cm up to 152cm) and with a weight limit of up to 42 stone.